Within Star Wars legends there is Jaina Solo – the daughter of Han Solo and Leia Organa. A character from the Star Wars Expanded Universe of old, Jaina is an ace pilot and a jedi warrior. She wears the signature flight suit of the rebel alliance, but definitely put her own style into the look. Folding down the flight suit, Jaina makes her tank top visible as she prepares her gear. In one hand she holds the rebel flight helmet and in the other, she grasps her lightsaber and flight vest. She truly has the spirit of the rebel alliance and the Jedi Knights within her! Jaina is designed by Shunya Yamashita and is the first Star Wars Expanded Universe statue to be produced by Kotobukiya. She stands 9″ tall and is ready to take on the whole Empire! 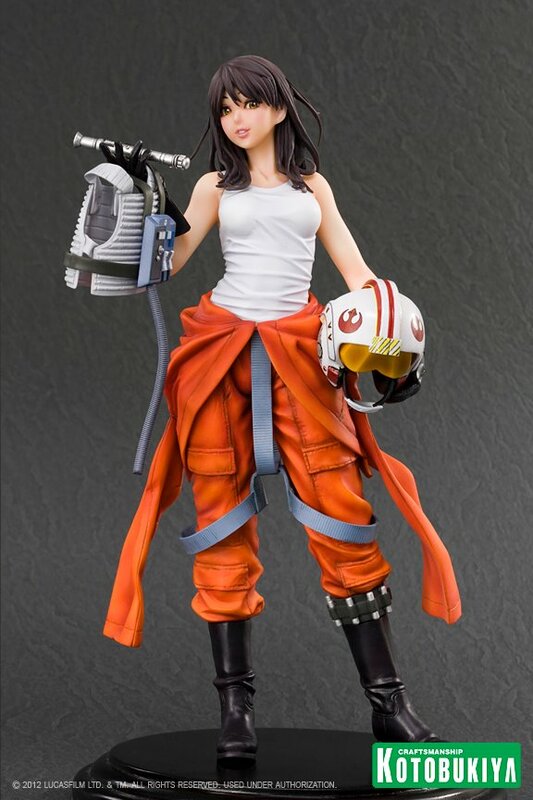 May the Force be with you and your bishoujo collection as you add Jaina Solo to your Star Wars shelf!